CONvergence 2003 had the time travel theme of "Time Flies." 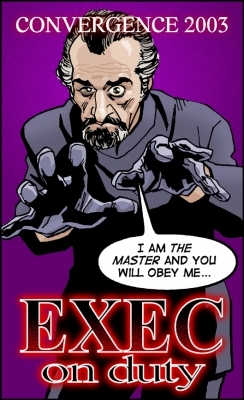 The highest on-duty authority at the convention got a badge that said "Exec on Duty," and every year I tried to find an authoritarian, theme-appropriate image to put on them. This is what I came up with in 2003.